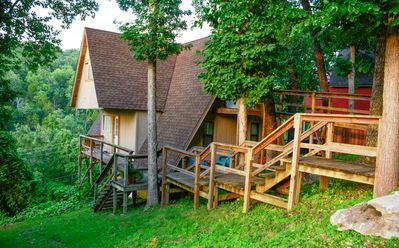 Bella Casa Buffalo River is the premier cabin to escape with your family. 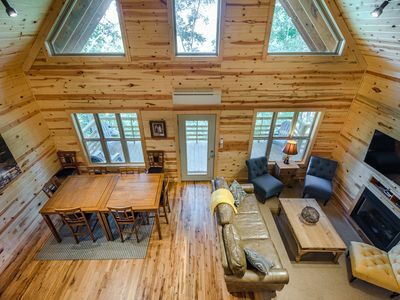 This spacious 2 level cabin is tucked away at Steel creek along the magnificent Buffalo National River in which running rapids, quiet pools, and massive bluffs await you. 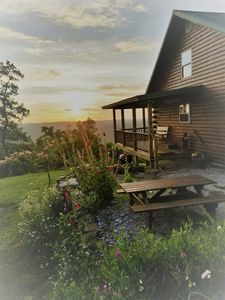 This beautifully decorated cabin is centrally located between Ponca and Jasper and just 3 miles from BOC where you can plan your next floating adventure, ½ mile to the Steel Creek access at the Buffalo River with horseback trails, 1 ½ miles to Low Gap café with a renowned chef, and 4 miles to Boxley valley which is home to Arkansas' largest Majestic elk herds. 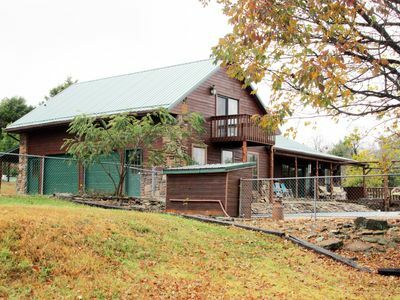 Bella Casa Buffalo River can host a large family with 2 levels of living space. 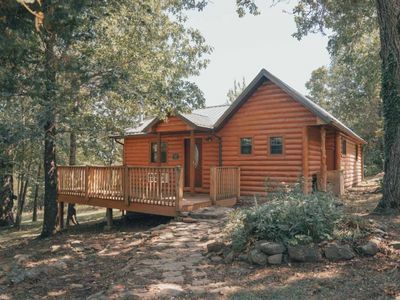 This luxury rustic cabin can sleep up to 9 with 3 spacious bedrooms and 2 baths. Maximum occupancy is 11 with 2 on the sleeper sofa. 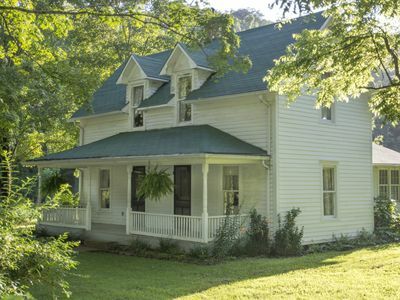 The main entrance located upstairs welcomes you to a living area with comfortable leather couches, a large screen TV equipped with DirecTV, and a lovely sun room with seating to view the panoramic views of the gorgeous Buffalo River valley and your own private natural spring flowing into a pond. It is not uncommon for neighboring horses to wander around the property and an occasional Elk visit. 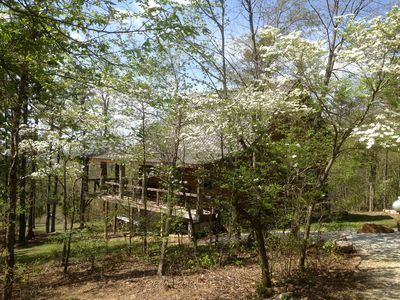 The master suite is located on this floor and has a King bed, a twin bed, and a private bathroom with a bath tub/shower. 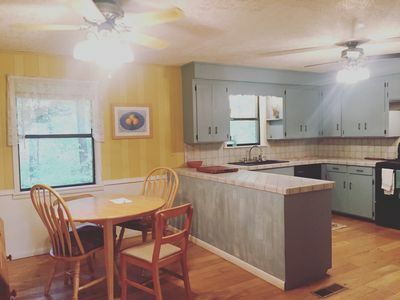 The cozy dining room seats 6 and is adjacent to the kitchen which has everything you need to cook a gourmet meal including a refrigerator with ice maker/filtered water, stove/oven and dishwasher. 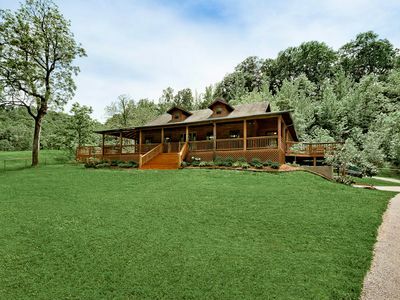 Relax on the spacious and rustic wrap around deck complete with rocking chairs, dining area, and gas grill. 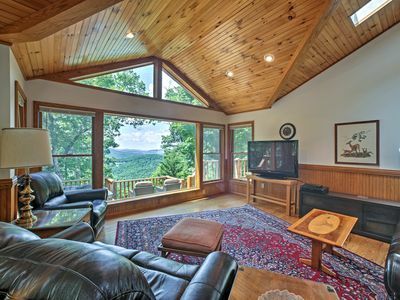 Gather around the fire-pit with your loved ones and stay cozy or soak in the hot-tub and gaze at the stars. 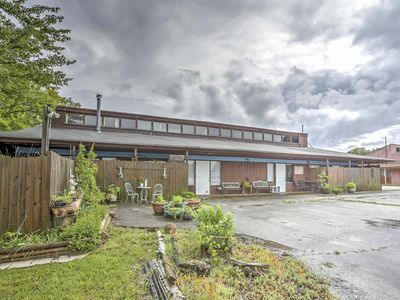 The lower level hosts 2 bedrooms and 1 full bath with a shower, a recreational area with a ping pong table, complete living area with a pull-out sofa and large screen TV equipped with DirecTV. 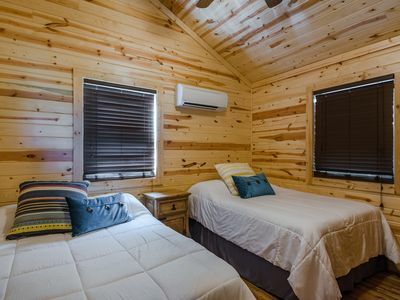 1 bedroom has a queen size bed and 1 bedroom has a full size bed and twin bunk bed. 1. There is 1 mile of dirt road to the cabin and we would recommend arriving in the daylight hours due to the steep county roads. Please follow the BLUE BELLA CASA BUFFALO CABIN signs. Standard cars will have no problem getting to and from the cabin, driving slowly, in normal conditions but we would recommend trucks and/or SUVS if available. 2. There is no cellular service in that area for about 10 miles east or west of the address and at the cabin. We do have a landline with unlimited long distance and WIFI for iMessage, etc. for your convenience. 3. 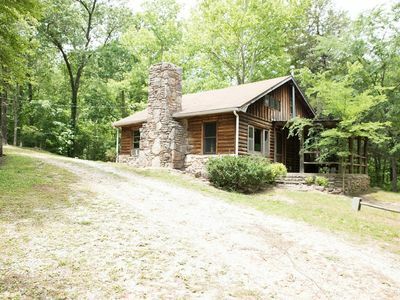 Our cabin sits on 6 acres surrounded by private property. Please be courteous and stay within the fence around the cabin. There are some wonderful hiking trails in the Buffalo National forest. 4. No Four-Wheelers, ATV's or RTV's are allowed at the property. 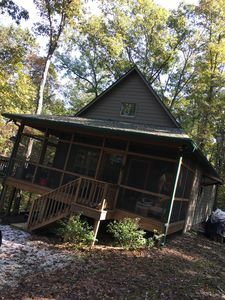 Parties & Events: We do not allow parties or other special events at our vacation rental. The minimum fee is $500 for any unauthorized event that we find out about after the fact. We reserve the right to deny occupancy to any group who has an unauthorized party or event at the rental home. There will be no refund of rent or other taxes and fees for unauthorized events. Read a book, go for a hike, gather around the fire, watch the sun rise and set, wish on the stars, eat s'mores, make memories. 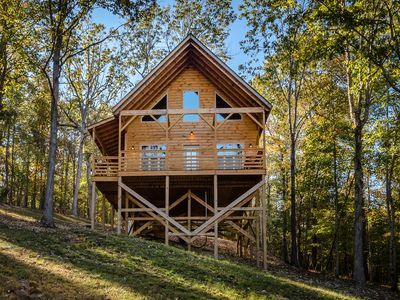 Amazing Treetop Cabin! New In 2016! 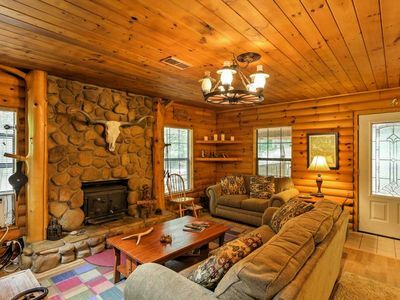 Come Relax at The American Buffalo Cabin!! 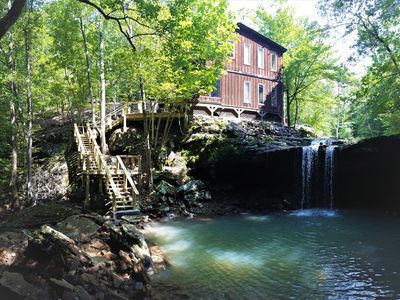 Just 1.5 miles from Jasper! 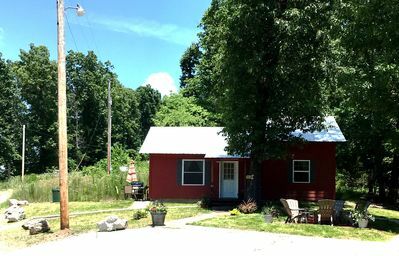 The Red Cabin Located in the Beautiful Upper Buffalo River Country. Great Place! 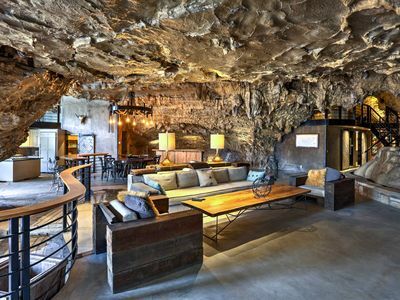 Modern & Unique Cave w/Rock Walls in Parthenon! 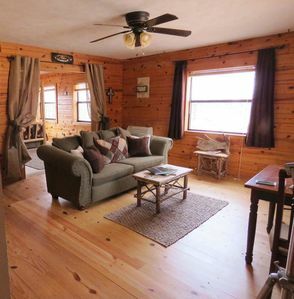 Visit the Plains Bison Cabin! Newly opened April 2017! 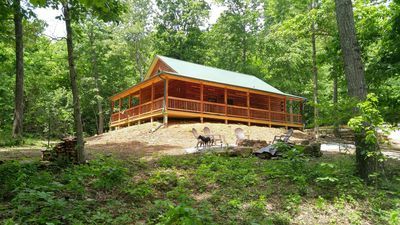 Mammy's place is an extension of Osage Creek cabins/Large pool/ Secluded.